Here’s my latest illustration for The New York Observer. The article ties the 50th anniversary of the musical “Annie” with the unlikely idea that anyone could be rich one day. 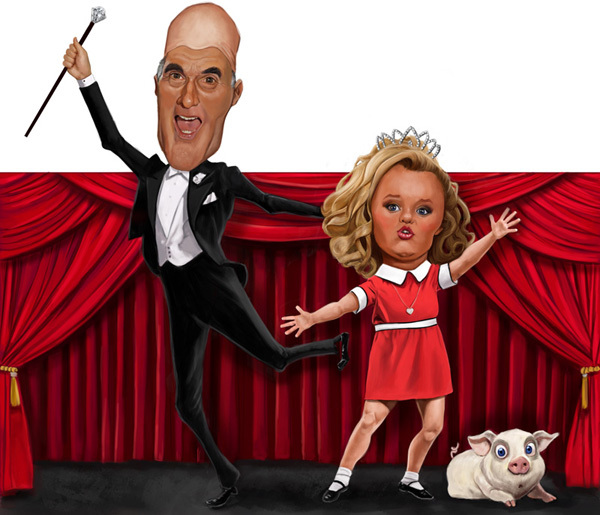 Seen here are Mitt “Daddy Warbucks” Romney, Honey Boo Boo and her pet pig Glitzy.